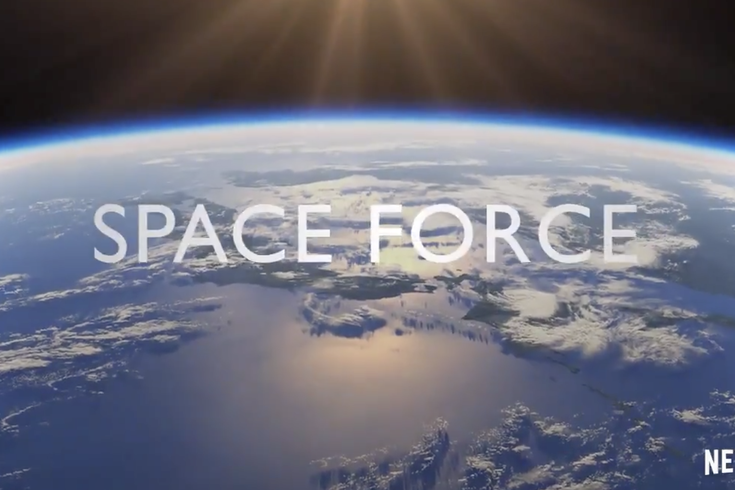 Netflix released a teaser for "Space Force" on Wednesday, which will be created by Steve Carrell and Greg Daniels. If you're a superfan of the "The Office" and have lost faith in ever getting a reboot, that's probably wise. But an exciting Netflix announcement on Wednesday will give you a little hope for 2019. The streaming service announced a new series co-created by Steve Carrell and "The Office" creator Greg Daniels is on the way. And get this: It's also a workplace comedy. The series is all about the Space Force that President Trump promised as a new branch of the military back in June 2018. According to a short teaser from Netflix, it'll be about the men and women who have to figure out what the h*ll that means. Carrell will star in the straight-to-streaming show in his first longterm commitment since his seven-season run as Michael Scott wrapped. And apparently he's getting quite the paycheck for it, too. The Hollywood Reporter reported he'll likely set a new overall record for talent, possibly topping $1 million per episode. No word yet on a release date, and according to the Reporter scripts haven't even been written yet so there's no indication of length or episode count. In the meantime, happy "Office" binging for the third time in the last six months, everybody!